This truly goes up at the top of my list of dead rock legends. In nearly the same league as John Lennon and George Harrison. And easily in the same league as Kurt Cobain, Keith Moon, Brian Jones, The Ramones, Jim Morrison, John Bonham, Bob Marley, Jimi Hendrix, Johnny Cash, Jerry Garcia, and Elvis. 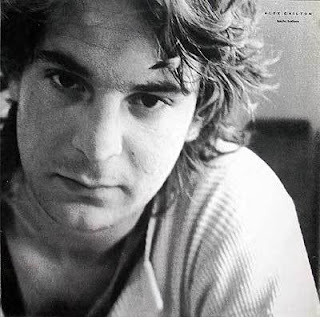 I discovered Alex Chilton soon after The Replacements issued their crunching 1987 song "Alex Chilton." Any recommendation of Mats' leader Paul Westerberg was good enough for me. And sure enough, Paul was right. I couldn't get Chilton's 1972 and 1974 cassette tapes, #1 Record and Radio City, by his band Big Star, out of my car stereo for many months. Much later, one of those songs became the theme of one of my favorite TV shows, That 70's Show. I began to dig deeper and only recently started listening to Chilton's first band, The Box Tops, which were a staple on 1960s AM radio.